Have you ever been knocked down, and had to dust yourself off to start again? Today’s guest, Jaclyn Johnson, talks about the career blows early on in her journey and the blessings that came from them. I couldn’t be more thrilled to bring you this CEO and powerhouse behind beloved conference and site for millennial working women, Create & Cultivate. She is also author of a new book, WorkParty, ... See More which is available for pre-order now. Jaclyn’s a real boss lady who has been named Forbes 30 Under 30, a “Self-Made Woman” by LA Times, and A Woman of Note by The Wall Street Journal. What’s most inspiring to me about Jaclyn is how much she truly believes in the power of creative, millennial women to change the world. In this episode, Jaclyn and I cover her journey of starting over again, what she means when she says it’s important to be “nice” at work, and whether we modern women can indeed have it all. Alright, heroine, this is the last episode of the season, and we’ll pick back up in a few months in September. 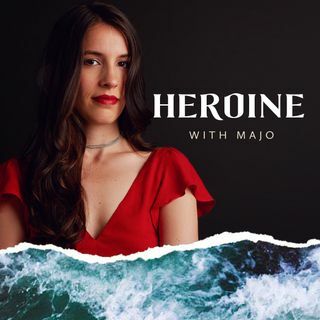 Enjoy the summer, I hope you get outside and play, and don’t forget that you can follow me on instagram in the meanwhile to stay updated @majo.heroine –!